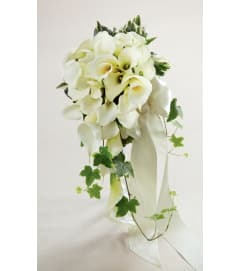 The FTD® Evermore™ Bouquet is a romantic display of modern sophistication. White roses, spray roses, freesia, and hydrangea are accented with green hypericum berries and presented in an elegant gold wire bouquet collar displaying ivory pearls. 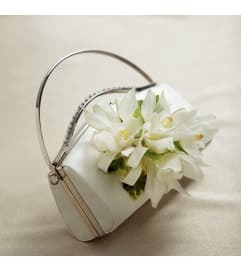 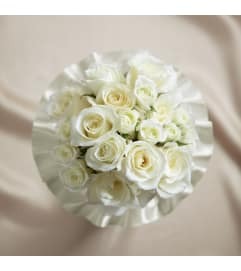 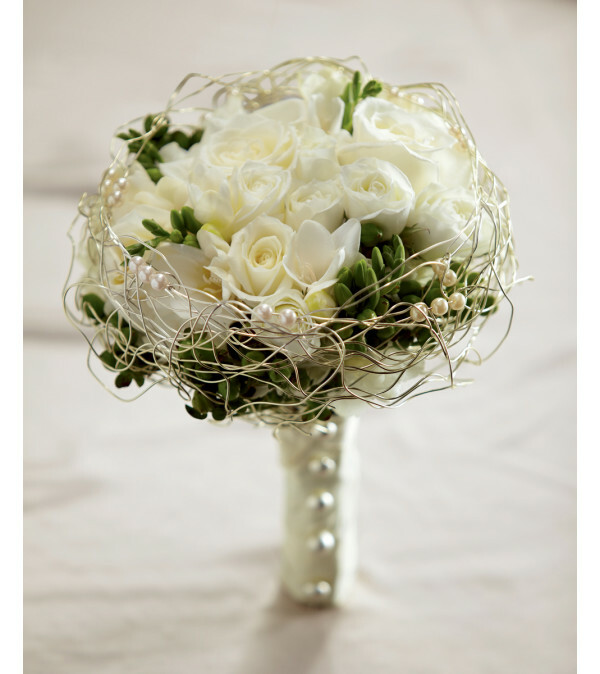 With the stems wrapped in an ivory satin ribbon accented with domed silver buttons, this bouquet is the perfect companion for your walk down the aisle.